Customize binders with accessories to plan projects and coordinate family schedules. Fill Martha Stewart Home Office™ with Avery™ binders filled versatile accessories toeasily organize home renovation projects and keep track of important familyappointments and events. Small items, like concert tickets or paint chips, can be safelycontained in the binder’s interior pocket, or secured inside a zipper pouch or sheetprotector. 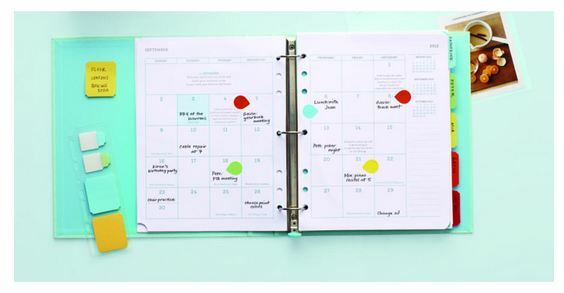 Customize binders with calendar or project pages and organize it into sectionsusing dividers with write-on tabs. Become a fan of LAB’s Facebook Page. Then leave a comment on the wall saying you entered the Martha Stewart Home Office customized binder giveaway. Fan Staples on Facebook and leave this link on their wall saying you are entering the Martha Stewart Home Office customized binder giveaway on ladyandtheblog.com. Fan Martha Stewart Living on Facebook and leave this link on their wall saying you are entering the Martha Stewart Home Office customized binder giveaway on ladyandtheblog.com. I am a fan of Martha’s on Facebook. I follow your blog through Networked Blogs. Entered the form above! This is so cute! I liked your fb page, left a comment, and i’m a fan of Staples on fb!